Your bags are packed, airplane tickets in hand, and your family is in the car. 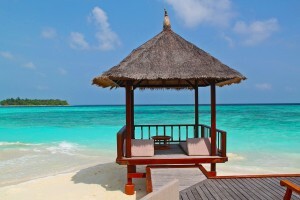 You’re ready to go on vacation, and a well-deserved one at that! One last thing, is your home secure? Have you done everything you can to safeguard your property and valuables? While everyone needs a vacation now and then, it is important to make sure your home is fully protected before you leave. Preventative measures will not only help avoid disaster, but allow you and your family to rest easy and enjoy your time off. There are many steps you can take to protect your home from break-ins and burglary, allowing you to focus on what’s most important-laying out in the tropical sun with an umbrella drink in hand! If you don’t have one already, a home security system is an effective way to prevent home invasions and burglaries. A comprehensive security system would include a burglar alarm, motion detectors, window and door sensors, fire alarms, smoke and carbon detectors, home automation, and a monitoring service. Systems that are fully integrated with your home allow you to adjust your lighting, thermostat, and so much more from your central control panel. With wireless home automation you can access these types of features via an app on your mobile device (like the one available on Alarm.com). Homes without a security system are more likely to be broken into. In fact, “A home without a security system is 2 to 3 times more likely to be burglarized.” As experts in the field of home security systems, our team of professionals at Perfect Connections, Inc. understand the importance of protecting your home, especially while you can’t be there. We have been providing security system solutions to homes in Northern and Central New Jersey for the past 22 years. Our team can assess the security needs specific to your home and provide a system that is tailored to you. We want to help you avoid potential catastrophe. Having a trustworthy relative or friend/neighbor stop by your home on a regular basis, or even stay there, while you’re on vacation can be a helpful crime deterrent. It can make it appear as if you and your family are still home. Having someone there to tend to your plants, animals, and general upkeep will prevent your home from looking uninhabited, which to a criminal means, “open for business.” Whomever you charge with caring for your home should be given your vacation contact information and spare key in case of an emergency. There are services where you can hire house sitters/pet sitters, but they’re likely to be pricier than a friend or family member. Unless you already have a post office box, you likely receive mail at your home. When you are going on vacation or leaving your home for an extended period of time, you want to make sure you have your local post office hold your mail until your return. A mailbox that is bursting at the seams can tipoff criminals that you’re away. It’s best to either stop your mail, which you can conveniently do online HERE, or have a trustworthy friend/relative check and pick it up frequently. The post office can hold your mail for up to 30 days. This idea holds true for newspaper delivery as well. If you subscribe to a newspaper, make sure they don’t pile up on your front step or in your driveway while you’re gone. Setting timers for your interior and exterior lights can be an effective crime deterrent. It’s better than leaving lights on throughout the entirety of your vacation. Leaving lights on the whole time will not only run-up your energy bill, but create suspicion for criminals who might be watching your house. They’ll notice that certain lights never go on or off indicating no one is around. With a comprehensive security system, you can set timers before you leave, and with home automation you can change your settings from afar if need be. While it may be tempting to share/brag to all of your friends and family on social media about your upcoming trip, it’s not the best idea. Why? By posting the time and date of your trip, you’re basically advertising the fact that you won’t be home. Even with privacy settings set to their limits, be weary of sharing such private information, you never know who is watching, sharing, and searching. This is important to keep in mind throughout the duration of your vacation. Again, while posting photos of you and your family in tropical bliss seems innocent, you’re providing evidence that you’re not home. Locking your doors and windows may seem like an obvious security measure, but it’s easily forgotten. It’s not uncommon for people to leave back doors or windows unlocked for family members or frequent visitors. It’s a simple, yet effective, step to take in protecting your home. Locks are the first line of defense, don’t forget to check them before you leave. Unplugging or turning off appliances will help save on your energy bill. Also, it will help prevent potential power surges or electrical fires. Things like coffee makers, computers, and TVs should be unplugged unless you have someone staying or stopping by regularly. Unplugging appliances before you leave helps alleviate any worry that you might have accidentally left something on or running. If you’re planning on being away for longer than an extended weekend, it might be a good idea to alert the local authorities. They may be more inclined to go past your home on their patrol routes if they know you’re gone. If you have a security system with a monitoring service, it is crucial they are made aware of your leave. This will help avoid false alarms and make them more vigilant of any irregularities. Depending on where you live you’ll want to adjust your thermostats or time them appropriately. Homes in the northeast and cooler climates will want to make sure temperatures don’t fall below 55 degrees to avoid freezing pipes. Home automation allows you to adjust the temperature from afar. One of the benefits to this technology is coming back to an already warmed up or cooled down home. If you’re going away be prepared. If you haven’t already, consider a comprehensive home security system. The peace of mind you’ll have is priceless. If you live in Northern or Central New Jersey don’t hesitate to contact our specialists at Perfect Connections, Inc.. We can provide you with a personalized system that is right for your unique home. We’ve been helping homeowners protect what matters most since 1992. House fires. Nobody wants to think about them, but they are an unfortunate reality in our imperfect world. While a house fire can be unpredictable there are precautionary measures you can take to avoid them. Being prepared is half the battle, but knowing what to do in the event of a fire is equally important. 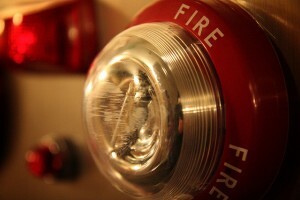 Part of home fire safety is having the proper equipment and warning devices. This means having operating smoke detectors, fire extinguishers, a fire alarm, and sometimes a sprinkler system. Most single family homes are not required by law to have a sprinkler or fire suppression system, but that may not last as the NFPA (National Fire Protection Association) is currently pushing for sprinkler legislation across the United States. As a leading expert in the security system industry our experts at Perfect Connections, Inc. realize having a truly comprehensive home security system means including fire detection equipment that is linked to an alarm system. We have been providing home security systems throughout northern and central New Jersey for over 25 years. Our team understands that security is not solely about preventing break-ins, it’s about protecting lives. According to the NFPA, in 2015, U.S. fire departments responded to an estimated 365,500 home structure fires. These fires caused 2,560 deaths, 11,075 civilian injuries, and $7 billion in direct damage. The main culprits of these fires were cooking followed by heating equipment and smoking. Of reported home fire related deaths, 60% of the homes either didn’t have smoke detectors or had non-working detectors. This is a problem – what good is a detector if it’s not working or been removed? The best way to manage a household fire is be prepared for one. Being prepared includes having the proper warning system, up to date fire extinguishers, and most importantly an escape plan. Having an escape plan that everyone knows and has practiced will help ensure a safer and quicker exit in the event of a fire. Every house should have working smoke detectors throughout each floor of the home and they should be tested regularly. Smoke detectors can be even more effective if they are tied into your homes security system. If you have a home security system you likely have a monitoring service that responds in the event of an emergency. In the event of a fire, detectors that are tied into an alarm system will trigger the alarm and if the alarm is not deactivated by the owner, the monitoring service will be notified automatically. The monitoring service will try to contact the house and if no one answers after a given amount of time they will dispatch local emergency crews. This type of system ensures a quicker response from local authorities and saves you and your family precious time needed to escape. Understanding the different types of house fires can help you prevent or know how to extinguish them. One of the most common causes of house fires is from cooking related incidents. According to the NFPA two out of every five home fires started in the kitchen. In a way this makes a lot of sense. Think about it, kitchens are where you cook with high heat, ovens, gas or electric ranges, grease, and flammable materials. It is of the utmost importance to be vigilant of what is going on in your kitchen. If you have pots on the stove, do not leave them unattended the same for items in the oven. Never leave flammable or combustible materials where they can be exposed to flames or high heat. Electrical fires are another leading cause of house fires. Homes with electrical heating need to be conscious of what materials are up against or close to heaters, all it takes is one dangling curtain to catch fire. This is especially true for people who use space heaters. It’s tempting to bring that space heater right up to your bed on those cold winter nights, but they need to be kept a safe distance, which is about 3 feet, from anything combustible and that includes bed sheets. Space heaters should always be unplugged when not in use to avoid any electrical malfunctions and they should never be left on overnight. Other culprits of electrical fires include dryers, washing machines, water heaters, air conditioning machines, and ranges. Fires related to smoking incidents are another major cause of injury and fire related deaths in the United States. Although the amount of people who smoke in the United States has decreased in the past decade the fact remains between 2007 and 2011 smoking materials were responsible for approximately 17,900 house fires. During this time period 580 deaths, 1,280 injuries, and $509 million in property damage per year was attributed to smoking related fires. Many of these fires included falling asleep as a factor. It’s devastating that such disaster has taken place when this type of fire is completely preventable by not smoking. While you can’t always predict or prevent house fires from occurring you can be prepared for them. And even though the first thing you should always do in the event of a fire is call 911 here’s a helpful link that describes how to extinguish different types of house fires Different Ways To Extinguish Different Fires. 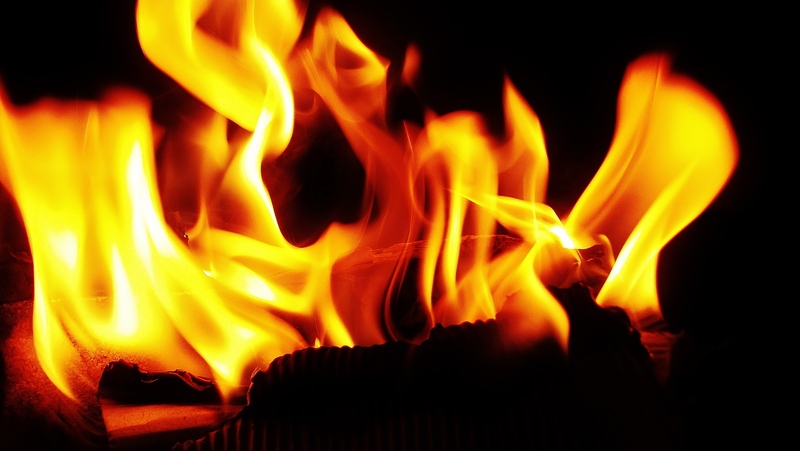 Having a comprehensive security system that includes a monitored fire alarm and connected smoke detectors can significantly decrease the damaging effects of a house fire. It can save you time, money, and most importantly lives. Our team at Perfect Connections, Inc. has been providing comprehensive security systems to homes throughout northern and central New Jersey since 1992. We want to help you connect and protect what matters most. While you no doubt have some sort of fire detection and/or suppression system in operation it’s important to maintain it in accordance with national and local requirements. As a security systems integrator, our team at Perfect Connections, Inc. has been installing fire alarm systems in business facilities throughout northern and central New Jersey for that past 25 years. We specialize in comprehensive security systems that include fire alarms as a major component to a fully functioning system. We do offer maintenance and service contracts helping you preserve a system that will continue to pass annual inspections and work efficiently in the event of a fire. Part of being prepared is having the proper equipment and warning devices. This means having operating smoke detectors, fire extinguishers, a fire alarm, and sometimes a sprinkler system. Most single family homes are not required by law to have a sprinkler or fire suppression system, but that may not last as the NFPA (National Fire Protection Association) is currently pushing for sprinkler legislation across the United States. As a leading expert in the security system industry our experts at Perfect Connections, Inc. realize having a truly comprehensive home security system means including fire detection equipment that is linked to an alarm system. We have been providing home security systems throughout northern and central New Jersey for the past 23 years. Our team understands that security is not solely about preventing break-ins, it’s about protecting lives. 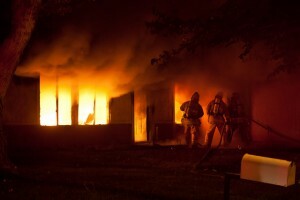 According to the NFPA firefighters responded to 370,000 home fires in 2011. These fires caused injuries, deaths, and costly damages. The main culprits of these fires were cooking followed by heating equipment and smoking. Of the reported home fire related deaths between 2007 and 2011, 60% of the homes either didn’t have smoke detectors or had non-working detectors. This is a problem, what good is a detector if it’s not working or been removed?